Christmas is pretty close now, we are all waiting for the 25th ! I used the Winter DIY Party favor boxes stack by DCWV for the papers and die cuts, and the Tim Holtz Bigz vintage Noel die by Sizzix for the numbers. 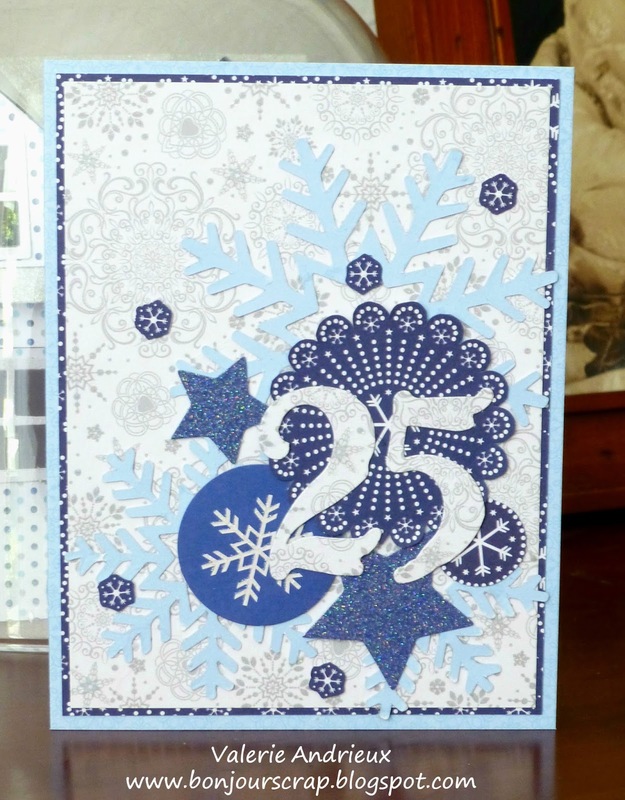 This card is coordinate to another card I showed you few days ago and to the ones on the pages 62-63 of the December issue of Making Cards magazine.